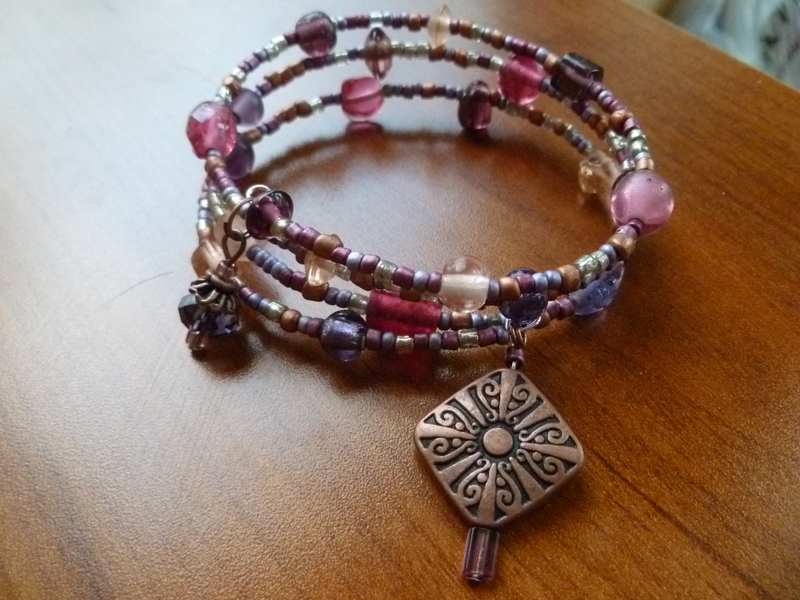 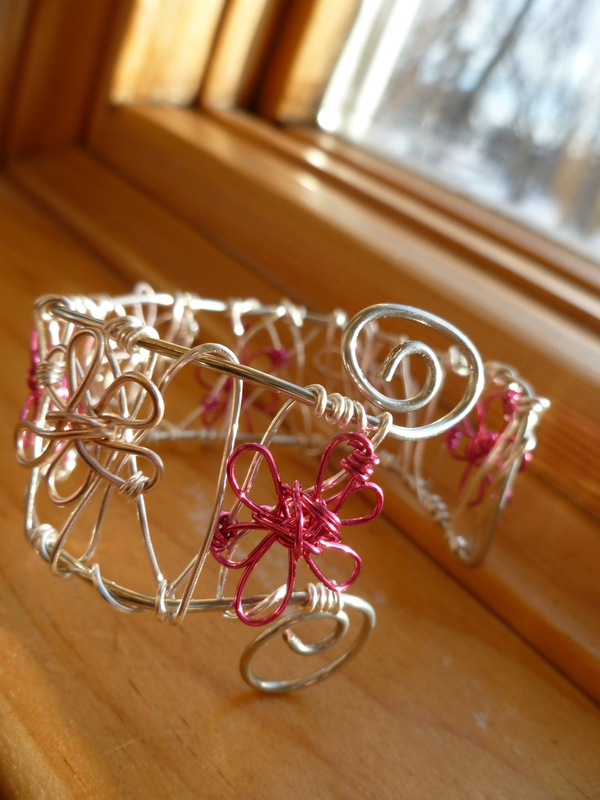 Bright silver copper wire cuff adorned with hand-wrapped pink and red abstract flowers. 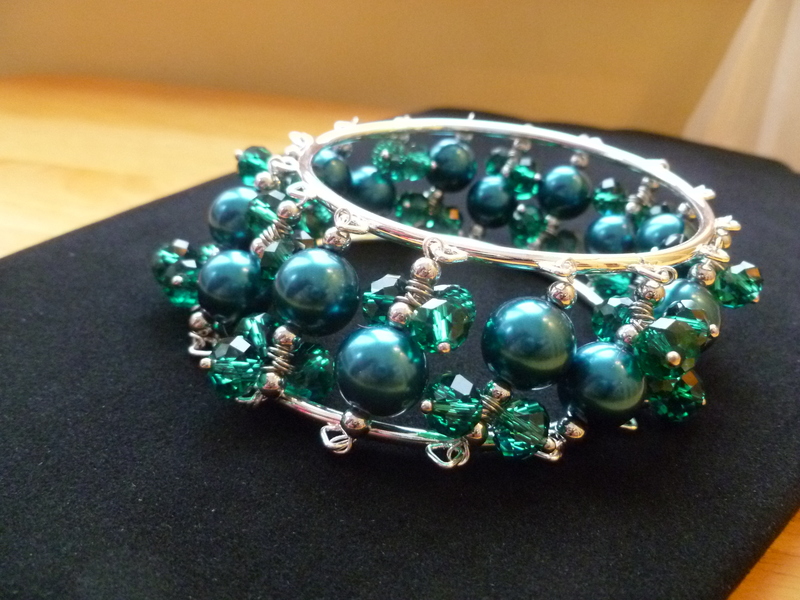 Bright silver plated bangles connected by a mix of acrylic and glass and metal beads in teal. 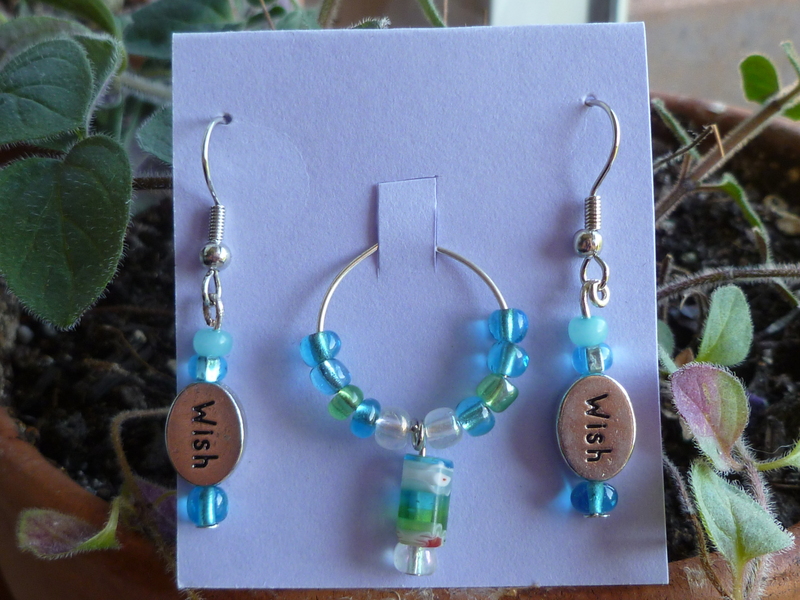 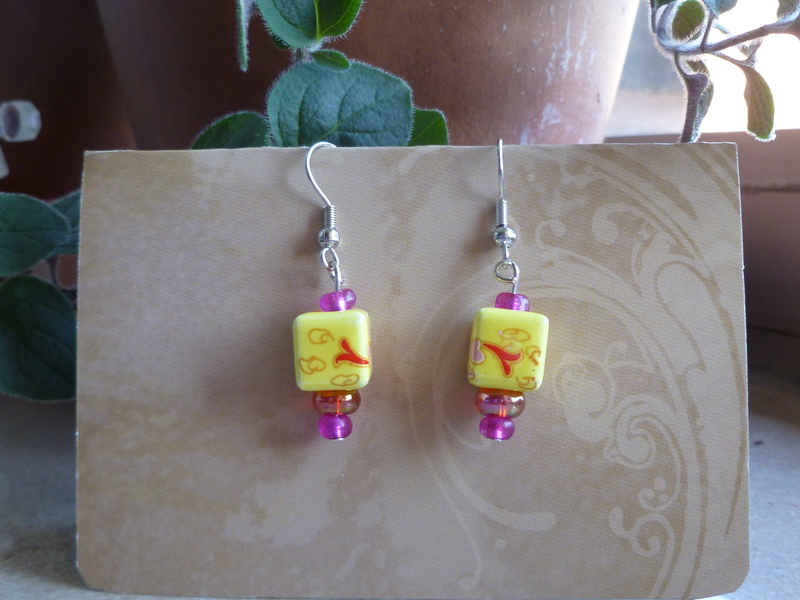 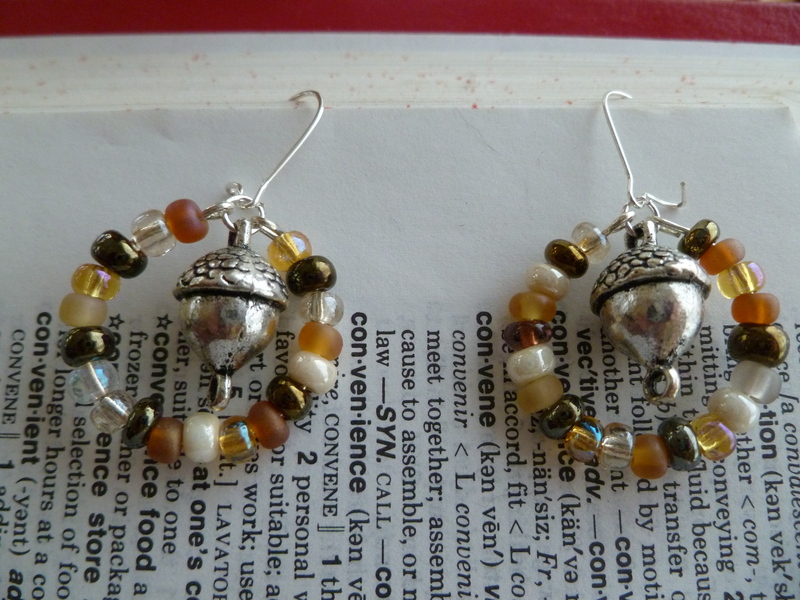 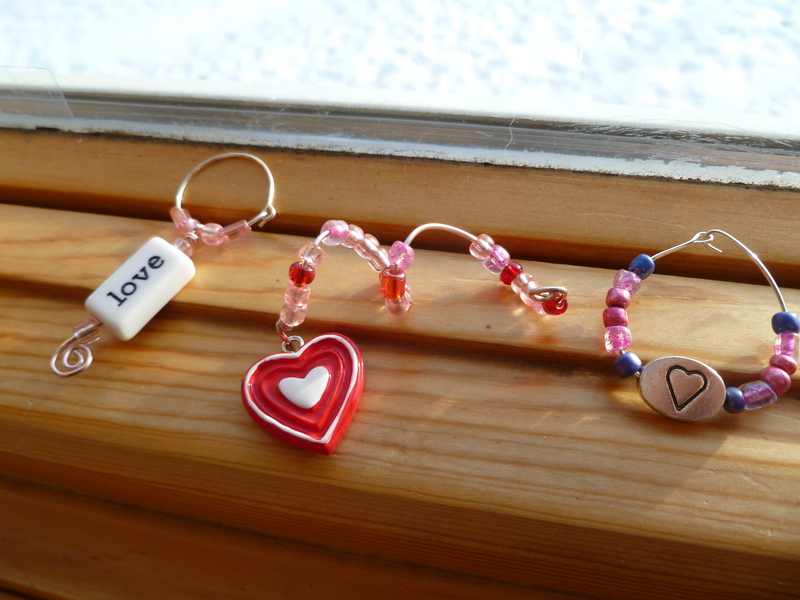 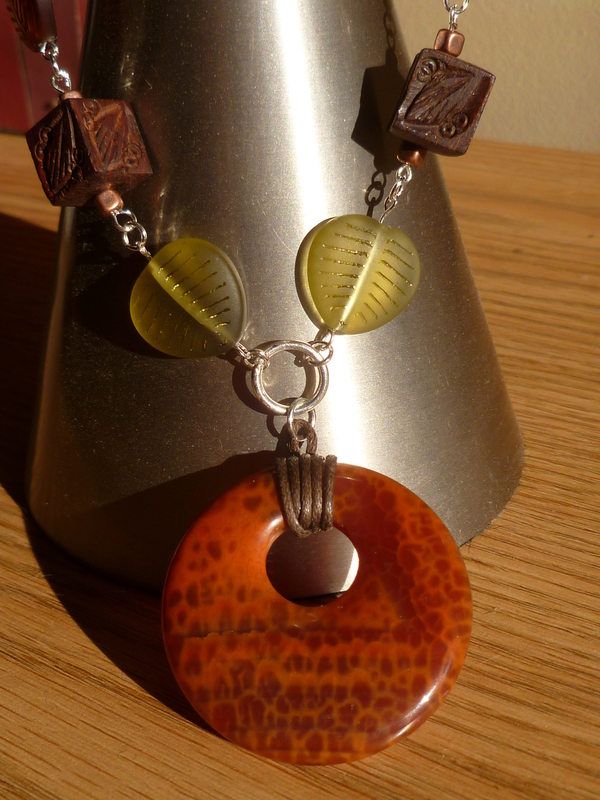 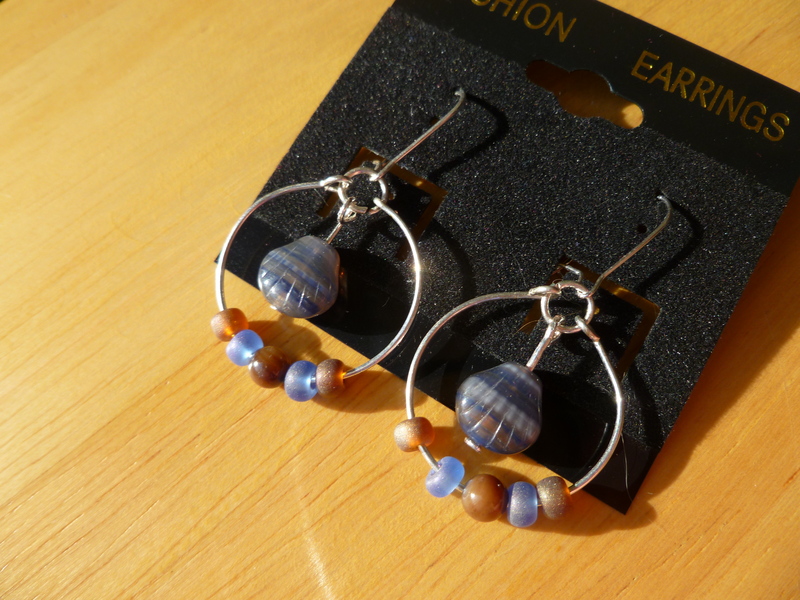 The earrings are bright silver posts with an antiqued silver colored metal bead surrounding a teal glass bead.